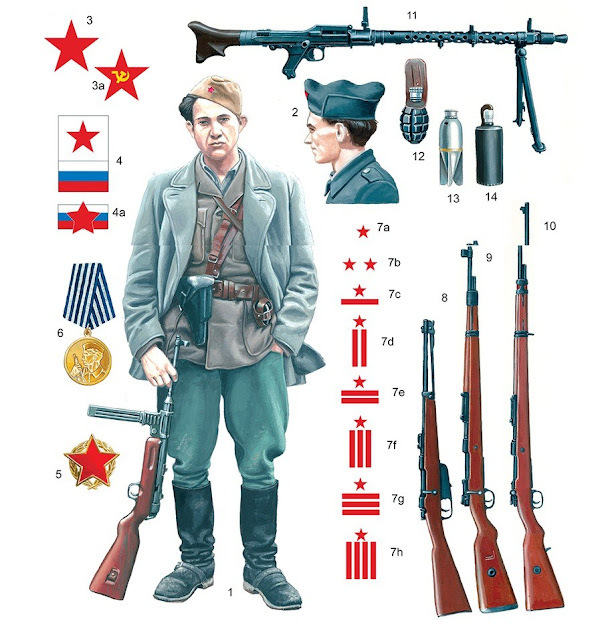 The Socialist Federal Republic of Yugoslavia had forty military facilities for strategic purposes, including several underground air base. Such objects were the greatest military secrets. 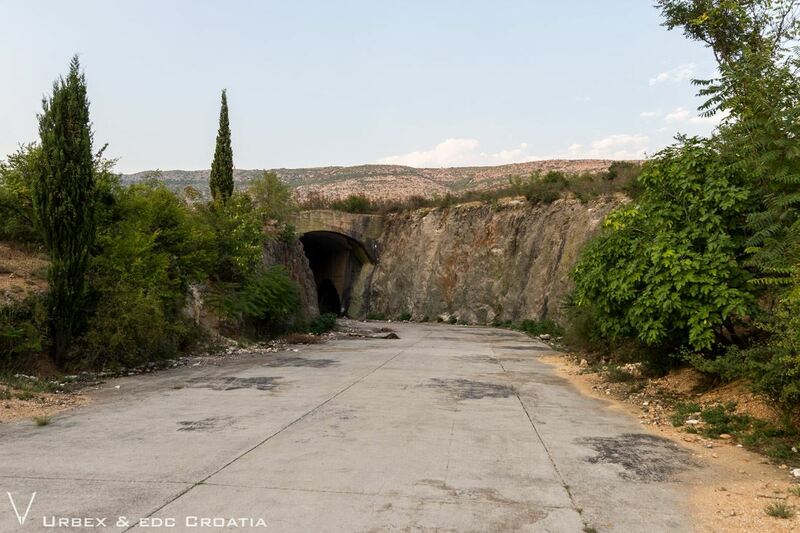 One of these underground airfields located near Mostar. Zeljava-Bihac Airport was the most significant and most expensive military facility in the former Yugoslavia. 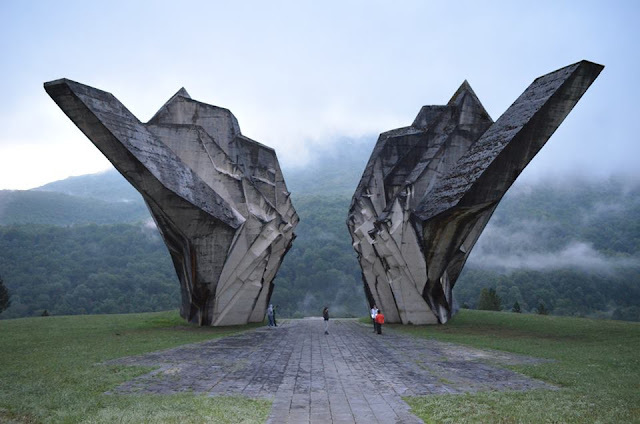 It was built under the veil of secrets, as well as all the then Yugoslav cold-war objects for special purposes. Recognizing that the Zeljava project (built in 1958-1968) is very demanding and costly, this construction has been going on for a long time, and construction of several smaller subways for underground hangars, air base, so similar objects as in Bihać was built in Split (underground object Cetina built in 1969.-1970), Pristina (Morava building), Podgorica (then Titograd) object Šipčanik and Mostar (the Buna facility was built in 1969-1971. ). 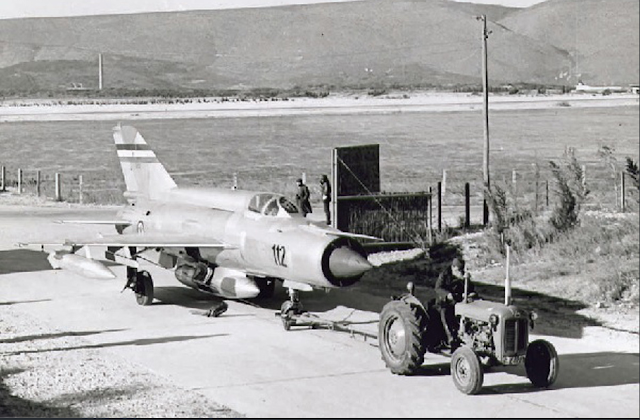 The construction of these facilities has been intensified especially after the Israeli-Arab war in 1967, where the Israeli air force destroyed most of the Arab Air Force aircraft. 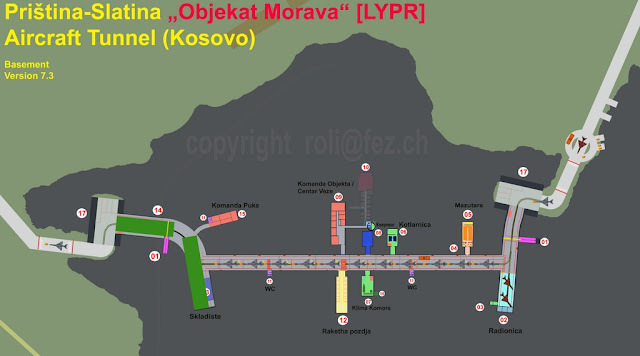 Since the underground part of the Zeljava facility near Bihac is located on the territory of the Republic of Croatia (only two outer runways are located on the territory of BiH), the underground airfield (the Buna facility) near Mostar is the only object of its kind in the territory of Bosnia and Herzegovina. Buna military facility was built in the period from 1969 to 1971 and is located in the vicinity of Mostar Airport, with travel route Mostar - Blagaj. 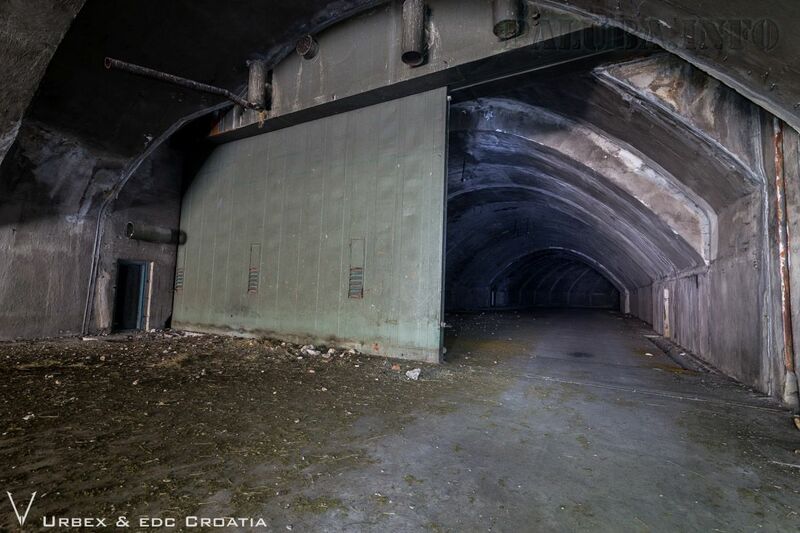 The building is completely underground, the entrance to this building and the exit from it are connected with a large arc tunnel of three hundred meters long, which could accommodate twenty aircraft. At both ends of the tunnel are two sliding steel armored door thickness of twenty centimeters, which provide protection against a nuclear attack on the building itself. By closing these hinged doors, the room is fully hermetically closed, which, with the help of aggregates, filter ventilation devices and the air conditioning chamber, enables operation in the conditions of atomic-chemical biological warfare. With precision, we can not say that the strength of a nuclear attack would have endured this armored door. 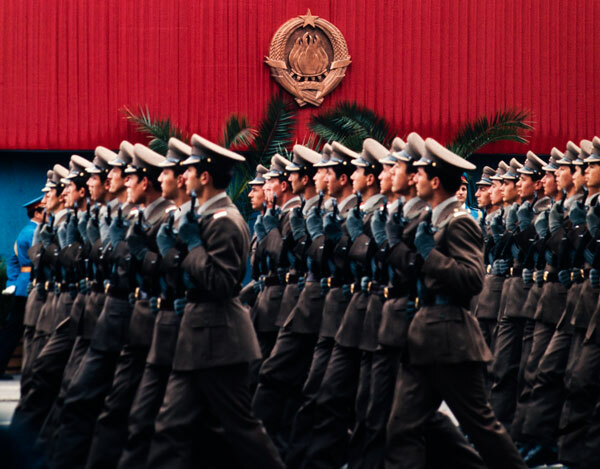 But it is well known that the bulletproof doors at the Zeljava facility near Bihac, which were 60 centimeters thick, could withstand a 20 kiloton nuclear strike. 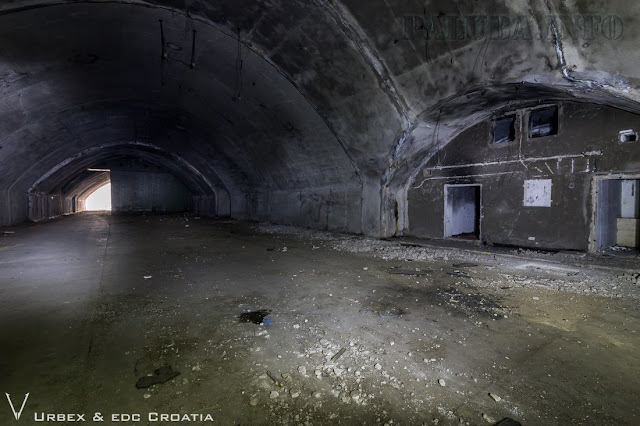 As part of this Mostar underground facility are rooms for people, a warehouse for ammunition, tank with water, toilets, kitchen and several utility rooms. There is also a vertical shaft that served as an evacuation exit to the hill above the facility. The concrete entrance or the exit with the surrounding rocks was painted in camouflage colors, and sometimes the masking steel mesh was broken above the entrance to this building. To which were fixed large irregular pieces of styrofoam painted in gray, which created the impression of the rocky, so the entrance was successfully masked. 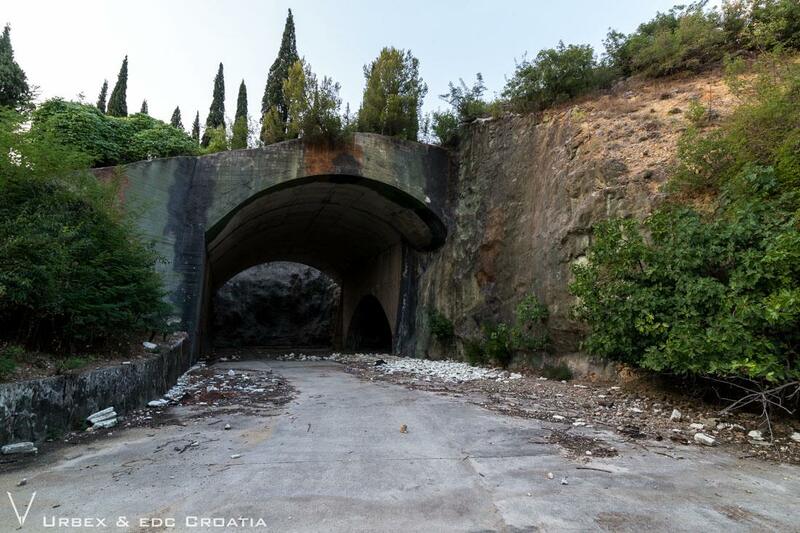 The approach from this facility, which led towards the runway, cut off the Mostar - Blagaj road, which was closed during military exercises and crossing the plane through the road, which was tracked by tractors. 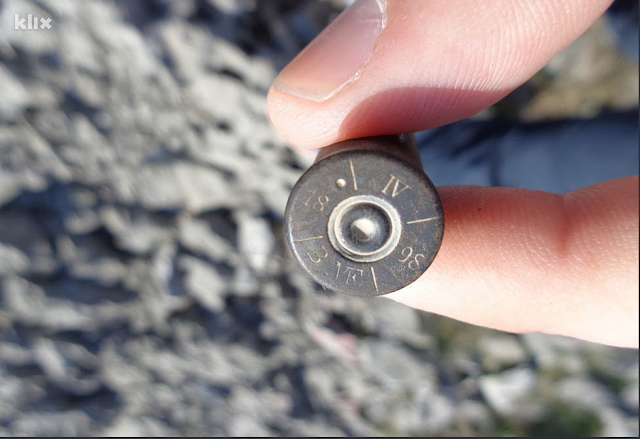 On the hill near the evacuation shaft of the air base near Mostar, we found one rare object today. It is an 8 × 52mm caliber for the Steyr Mannlicher M-1895, which was the standard weapon of the Austro-Hungarian army. The capsule is in very good condition, and on the bottom, there is the manufacturer's mark and the year of manufacture (1898). 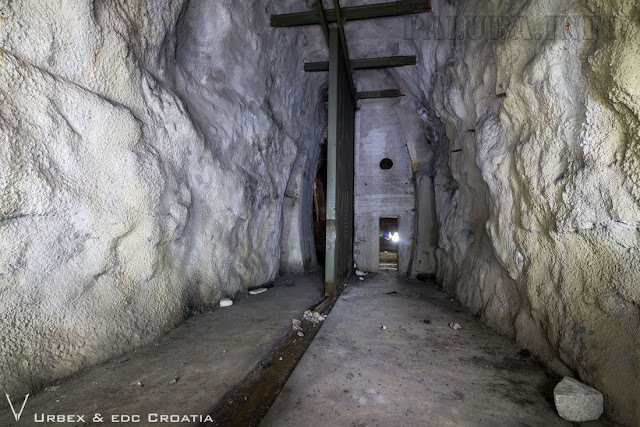 It is not surprising to find a military shotgun in the vicinity of the southern entrance to this underground facility during the Austro-Hungarian Empire. Near the underground base, Buna was an aircraft and helicopters factory Soko. 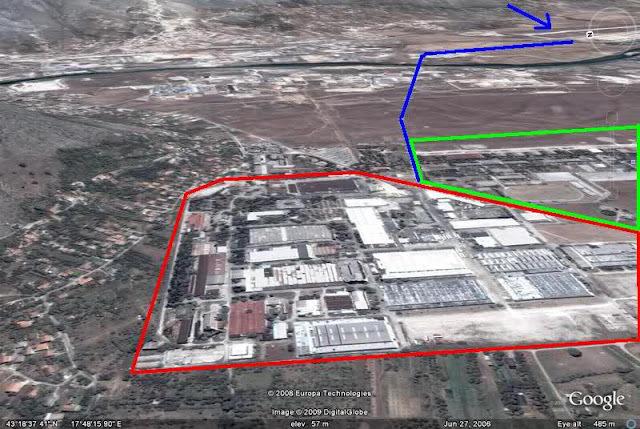 In the red color, the SOKO factory circle is marked on satellite images, a large complex of the barracks with a helipad is marked in green, in which the 1st Guard Regiment of the OS BiH is located today. 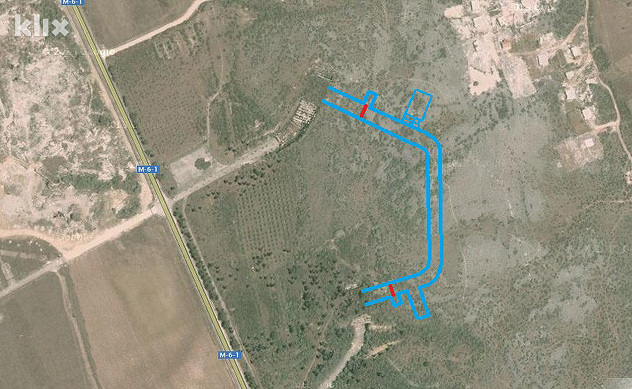 Blue is marked road and bridge over the Neretva River to Mostar airport. This road was used as a transport route for newly manufactured airplanes to a runway. The manufactured helicopters were only moved from the factory to the barracks and the helipad. 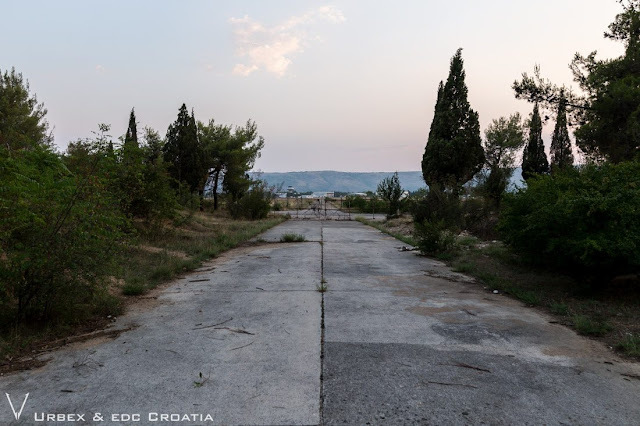 Today, this road from the factory to the airport serves for civilian purposes, as well as the belonging bridge over the Neretva.